Mature small, stemless rosette to 11cm. diameter x 12.5cm. high. Thickish, deeply-channeled, scurfed grey, tortuous leaves to 12cm. long. Erect or angled straight-stemmed spike to 12.5cm. 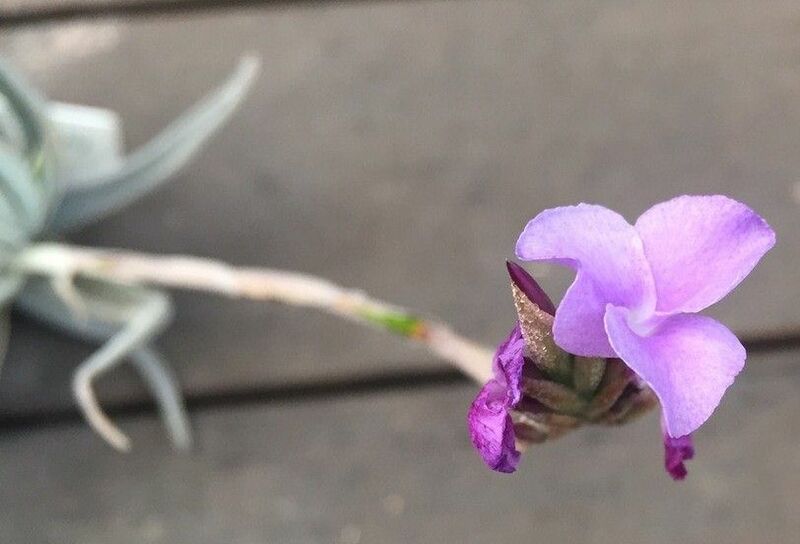 long, with a simple inflorescence of large, rounded lavender flowers, turning purple when spent. Listed by Lima, Peru plant/seed trader Karel Knize in 1988 as T. streptocarpa and imported by South Australian grower Derek Butcher from this source in 1988 as KK2599, wild-collected at 2500m. altitude in Calca Canon, Peru. Registered by Bruce Dunstan. 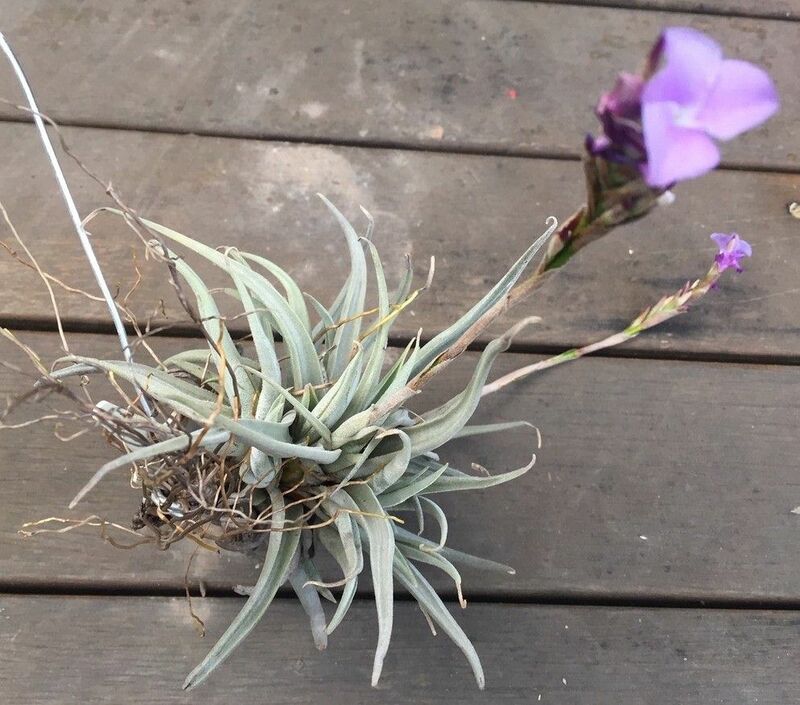 Bruce Dunstan ... "Derek gave me this plant 2 years ago and it has finally decided to flower. I have a friend who works in Lima and she has been to Calca Canon which is not far from Lima she tells me." Chris Larson ... "The Calca Canyon is down close to Chile. The tourist place to go see condors, and spectacular scenery, out from Arequipa. Been to Arequipa twice and haven't been up the Canyon - last time we picked the next canyon over to explore - and got stopped by roadworks (and had to turn around) just as it started to get interesting - wasted a day. I've just flowered this one from Derek. So it is spread around." Derek Butcher ... "This clone seems to be spread around. Do you think it worthwhile being registered as a cultivar? It came in from KK as "KK2599 found at 2500m" in 1988 as a streptocarpa which followed Lyman Smith's reasoning as to what a streptocarpa should look like - plant NOT elongated."